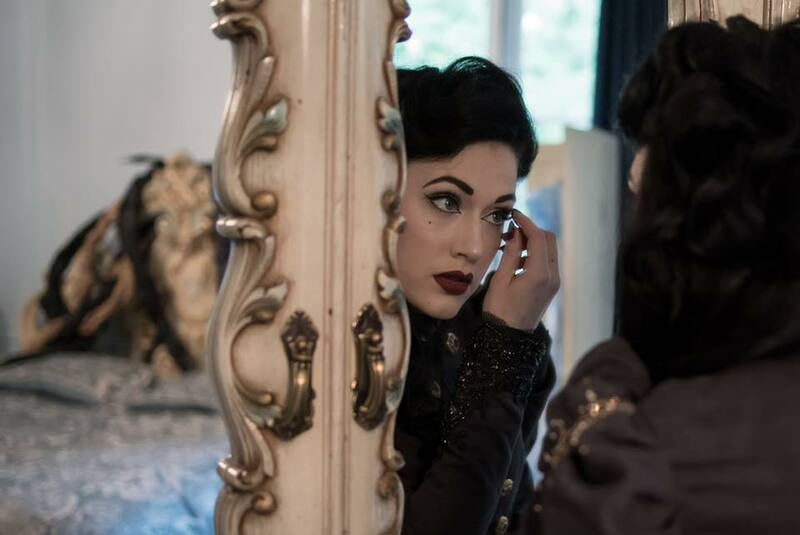 Burlesque star Betsy Rose reports on Sublime Boudoir at Alder Manor, which ran for two spectacular nights in New York in May 2017. 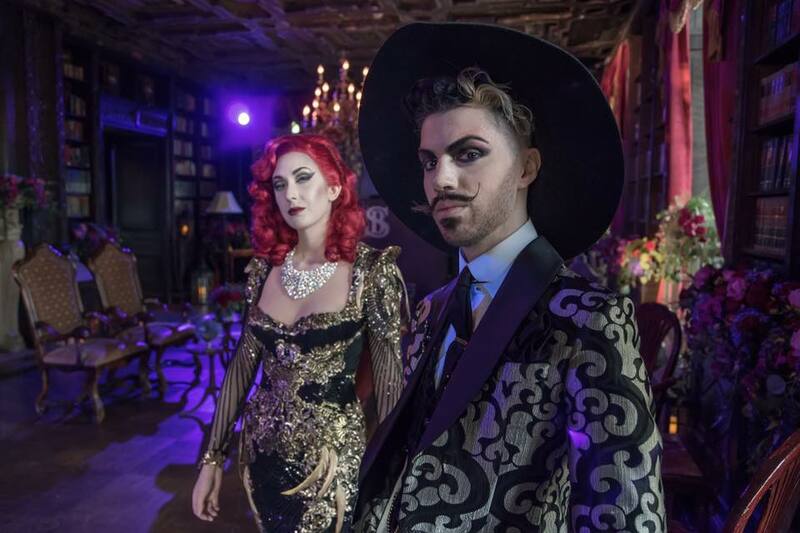 To experience and be a part of Sublime Boudoir at Alder Manor was a treat beyond my wildest dreams. As I completed my journey from foggy London Town to Yonkers, New York, there seemed to be a rather fitting mist and fog all of its own looming over Alder Manor. It felt as though our venue for the up and coming Sublime Boudoir show had already slipped into a character. This installment of Sublime Boudoir was set to be an immersive Victorian experience, unparalleled on the current burlesque and cabaret scene. In the days following the show, I can confidently add that this was incomparable to any production I have ever been involved in or experienced. This production was a dreamlike theatrical tour de force and marriage of artists, designers and producers who are undoubtedly masters of their craft. My journey with Sublime Boudoir began in 2012, and it has been nothing less than a dream to work on each production with them ever since. It has been a privilege to work alongside Alston Stephanus to dream up new concepts and acts for each show, and this show was perhaps the biggest honour and challenge yet. 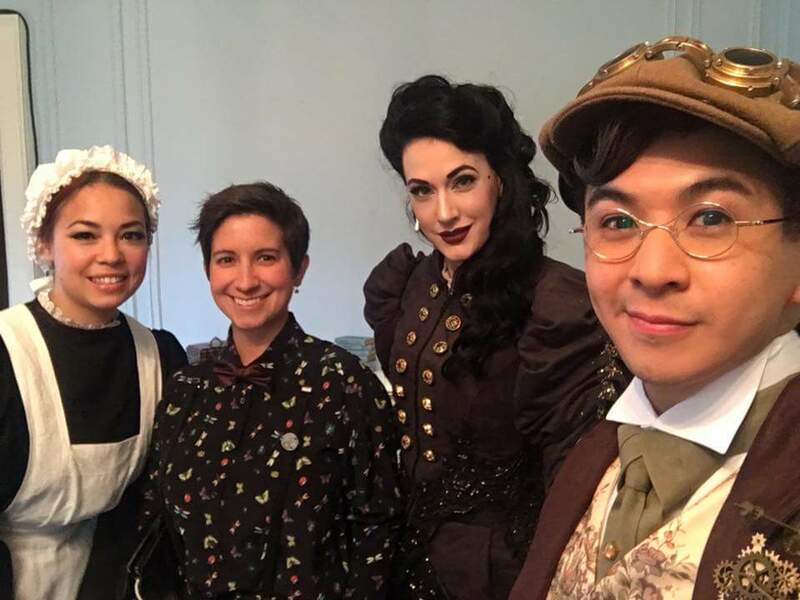 I studied a time period not nearly as familiar as other begone eras and created an immersive character and act to nestle perfectly into this Victorian vision. One of the charms of Sublime Boudoir is that the set, scenery and immersive actors are just as important as the performers are to create the perfect spectacle and experience, and magic is made when all those elements come together. Alston Stephanus, the visionary and mastermind behind Sublime Boudoir, brought this 19th century mansion truly to life. 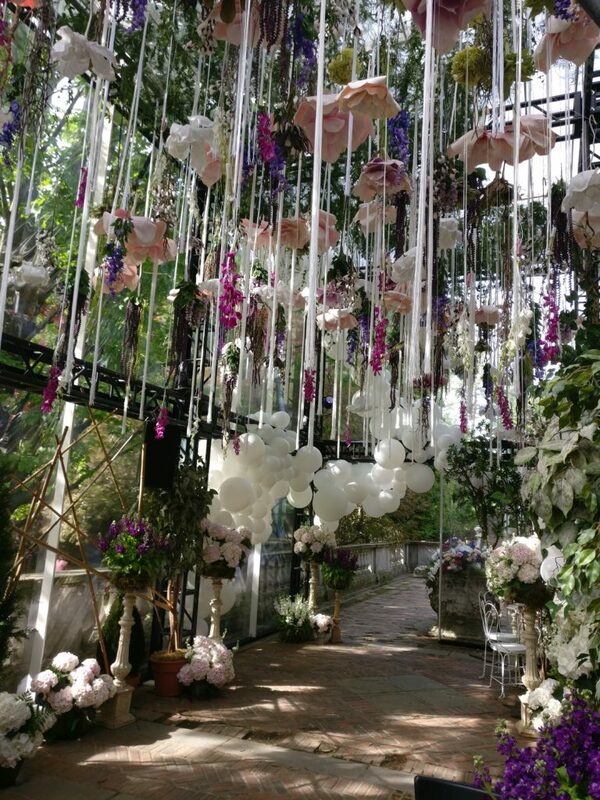 Through flamboyant floral designs, extravagant balloon installations, and lavish set design that would rival any Hollywood movie set, the scene was set for a night of romantic Gothic celebration. The line up was an international cabaret dream team! Laurie Hagen, Vicky Butterfly, Lili La Scala, Bettie Blackheart, Jo Foley and Graeme Clint flew the flag for European darlings, while a whole host of American all stars including Perle Noire and the House of Noire, Kitten ‘N’ Lou, Ray Gunn and Bazuka Joe, Jason Mejias and Armitage Shanks completed the cast, with a sprinkling of David Bishop for good measure! On top of this incredible cast was a team of interactive actors, including Audacity Chutzpah who worked to enhance the entire immersive experience. 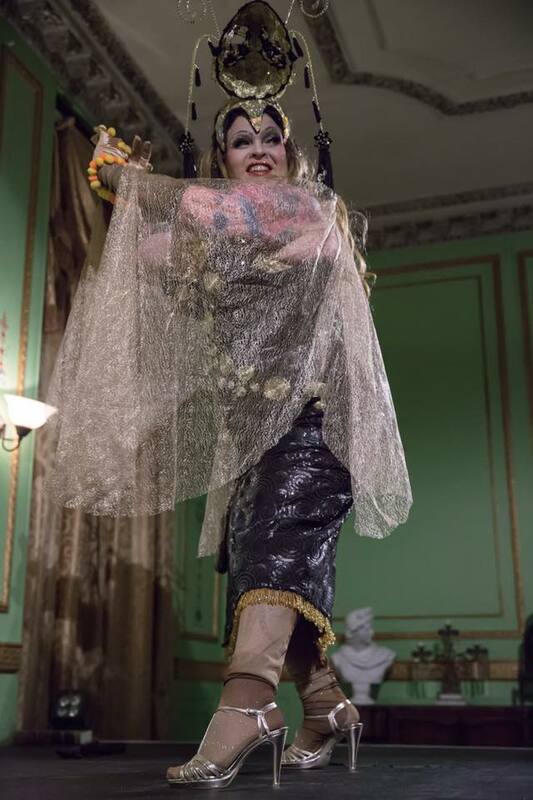 Guests were encouraged to explore the mansion and its various rooms, while being treated to the finest drinks and culinary delights before the show and entertainment began. The story, written by Sublime Boudoir producer Kayleigh Rodriguez, was that of the Alder Family who had suffered the loss of the lord of the manor, and a party was being held to commemorate the new roles of the family. Each act was carefully selected to suit the story and whisked the audience away to alternative realities so that they became part of the show, too. The only way to fully believe these shows is to experience them with your own eyes. Sublime Boudoir at Alder Manor was an experience I will remember for its splendour, opulence and total beauty. I can hardly wait until the next installment of this fantasy-like world.